Note: The sheet of 1/4" x 20" x 40" foam that comes with the seat kit is not SFI approved. 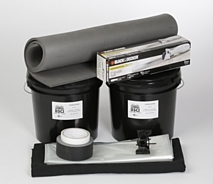 To purchase SFI 45.2 approved sheet foam to use with your kit, click here. Orders received after 12:00 noon ET will not ship the same day.